Looks a great ramp package, happy to see the talismans along with the signets. I wouldn't touch the ramp as it is, I think it's great. I think you could use another board wipe or two. The best on theme that come to mind are: Terminus and Devastation Tide . I do think this is a great deck for the new God-Eternal Kefnet thanks to having a Brainstorm effect in the command zone. Bolas's Citadel also looks like a good thing to try and I'd be running it in my Rashmi, Eternities Crafter 's deck if she supported black. 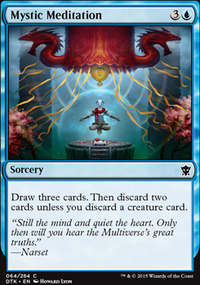 If you can find one, I really think Sensei's Divining Top would be awesome in this deck. 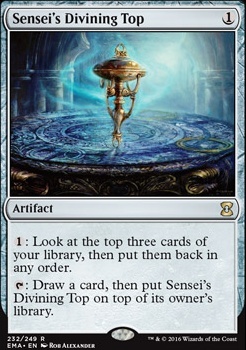 Sensei's Divining Top ability to draw a card at instant speed for no mana is great with the new God-Eternal Kefnet . Sensei's Divining Top also works wonders with Bolas's Citadel , allowing you to effectively pay 1 life to draw a card. I'm not entirely sure why Mindblade Render is in the deck, just for draw? Overall, looks great. Great ramp, removal, and draw. The only concern I have is how you close out the game. I see your win-con section, but it doesn't look like much. Maybe I'm overlooking some, but just make sure you can seal the deal once you're set up. I'm looking forward to facing it. War of the Spark spoilers are now complete...and oh wow, what a set. There are so many incredibly useful toys for so many decks...but for Nicol Bolas above all. 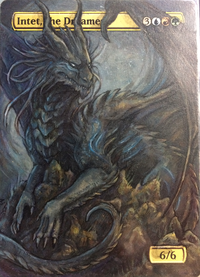 Obviously I also need to get my hands on that Mythic Edition Nicol Bolas, Dragon-God . I'll be archiving the comments after WAR drops, but until then I'm going to have a lot of decisions to make. I've moved the WAR acquisitions I need to the Sideboard, and more might show up as I look through the set more. Some cards are convenient alternatives to other cards that don't have Bolas flavor - Yawgmoth's Will for example can probably be replaced with Deliver Unto Evil without losing too much functionality. 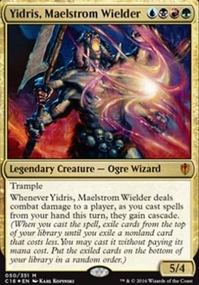 The Elderspell is going to be an obvious inclusion both as removal for enemy walkers (and my playgroup has several Superfriends decks), and as a way to turn my own walkers into an immediate ultimate. With Nicol Bolas, Dragon-God this could be a phenomenally flavorful alternative win condition - it just doesn't get much better than that. It only needs to kill 2 other walkers to pump Bolas up to his ultimate. Bolas's Citadel is going to really force me to think about lifegain - Sangromancer is an obvious option given the discard I'm throwing around. This single card is just a treasure trove of potential. 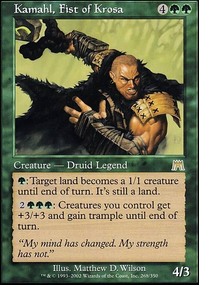 Self-discard effects with Library of Leng can mean you can use life instead of mana to cast anything in your hand. Any sort of topdeck manipulation like Scroll Rack or Sensei's Divining Top get crazy, and Top can basically draw cards at a cost of 1 life per card. It makes Doomsday a thousand times easier to resolve, since you don't need to have draw in your hand to crack the pile, you can just use the top card for that. Sensei's Divining Top seems like an auto-include in your top-deck hero style deck. Learn from the Past is a lil sketchy...I thought you were a mill deck? ;) Grave hate is gud but you can just be running Relic of Progenitus effects. The synergy upsides are nais but not worth running a meh card. Arcane Melee seems like an overcosted mana rock on average. You aren't storming off, on average. Not to be a degenerate sicko mode boi but...no Laboratory Maniac or new jace maniac? This is a nice build of Yisan, it's refreshing to see a deck win with big stompy creatures (my meta is very spell heavy). That being said you lose a lot answers going that route. It looks like your early verses are purely mana ramp for the late game. But if you want a slightly more competitive deck I would recommend traded some of the weaker ramp for more of a toolbox build supplementing the deck with cards like Sylvan Library and Sensei's Divining Top to make sure you can draw into the early game ramp as opposed to tutoring for it with a Yisan activation. But all in all I really like this build. Seems like a lot of fun to shuffle up. Cards that let you determine which card is on top of your deck, like Sensei's Divining Top or Dream Cache might be nice for you, so you can get the most value out of Yuriko's ability. There's some similar decks to this one that might give you some ideas on that strategy, like Ninjas and Eldrazis: What could go wrong???. 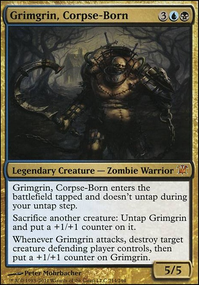 Also, Dimir Machinations is both valuable for making sure an expensive card is on the top of your deck, and can be used instead to tutor any card with CMC=3, and you seem to have quite a lot of good cards like that. Since you're using Conspiracy , you might also be interested in Arcane Adaptation and Xenograft .